Happy Monday everyone! Today I am sharing an easy way to achieve a fun summer look. 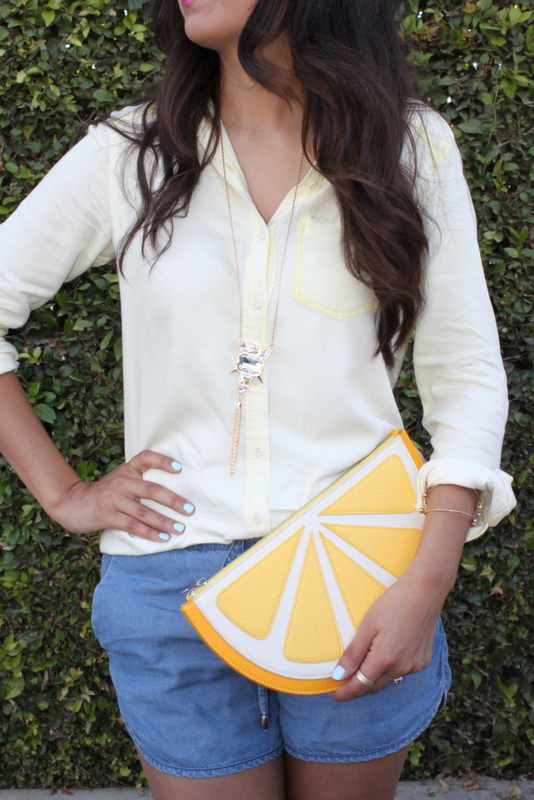 The easiest way to brighten up any outfit is to add a few cute accessories and a bright clutch. 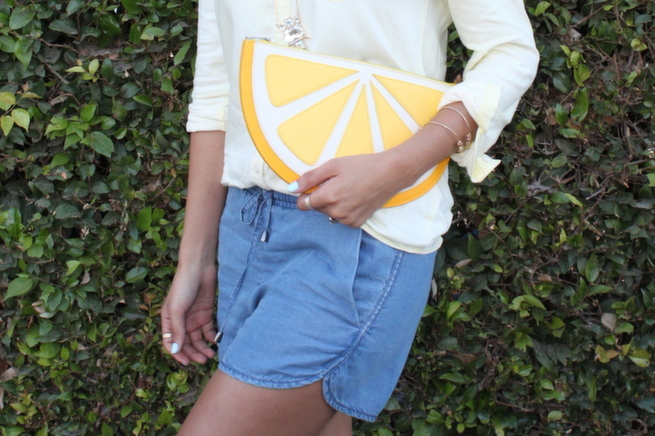 I completely fell in love this citrus clutch when I saw it, and snagged it during the Memorial day sale ( score)! I am also gravitating towards loose trouser bottoms, like these short. They are incredibly comfortable, especially during the hot days! I don't know about anyone else... but I hate wearing tight clothes when its hot- it makes me feel hotter ( not a happy feeling) . During hot summer days it gets tough to figure out what to wear ... because in all seriousness all I want to wear is a bikini and hang out at the beach. On the other hand it is fun to experiment with new silhouettes and fun accessories to achieve an effortless summer look. 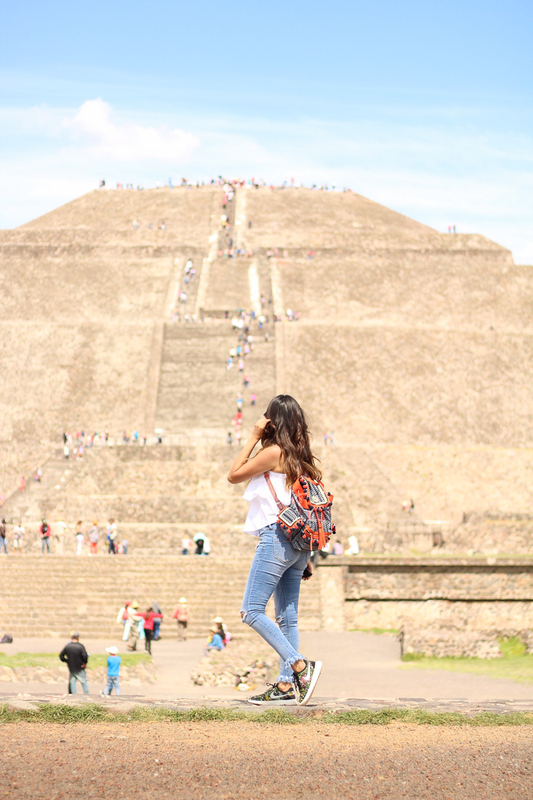 amazeee outfit love ur shoes!